My point is that there is a lot of ignorance about something that should be second nature. Even musicians and people who love the music can at times be erroneous. This particular post is not about why, or how to fix it, because that could be another debate. (In fact, feel free to post your own ideas. )This post is not about making anyone feel stupid either. (One of my favorite comedians, Paul F. Tompkins, does a comedy bit about jazz: When he listens to a jazz record, it's as if the music is saying," Whatsa matter, man? Don't you dig our smart people's music? Maybe you too dumb, dummy!.) This post is really just some anecdotes about misunderstandings about jazz that I thought you might find amusing. And maybe laughter can lead to understanding. Maybe. Some of you are saying, "Oh, Professor Colligan, just because we can't hear a C minor chord with a major 7th and a flatted 6th and an augmented 27th over a G in the bass doesn't mean we are stupid!" I'm not talking about that. 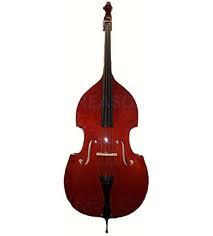 I'm talking about the time a bass player brought his upright bass into the club and started a verbal brawl between a husband and wife sitting nearby. "Look, that guy's got a big trumpet!" proclaimed the husband. " You idiot," scolded the wife. " That's not a trumpet. That's a trombone!" And you thought that the people who confuse the bass with the cello were misinformed. Obviously, those are extreme examples. However, there are some trained musicians out there who say some pretty ridiculous things about jazz and jazz musicians, and it's usually based on the preconception that jazz is music that "you have to feel it, you have to have the talent, you have to be born to play it, it just comes to you..." Again, I don't think there is anything in my bloodline that makes me " born" to play jazz. I studied and practiced and listened just like anyone else. But the myths persist. I know the Director of a jazz program who complained to the Dean of the entire music school that "musicians who come from the classical program into the jazz program can't play their scales or play in tune." The Dean's response: "You're a jazz musician. How can you tell?" As if to say, "Jazz is just something you make up, you just get out there and blow, man. You don't have to worry about scales and intonation!" I just wonder what these people are hearing; because they've never seen the notated score, do they just jump to misguided conclusions? I swear that after I played a noon recital at Peabody with a jazz group, which was rare at the time, a student came up to me and said, " I love jazz. 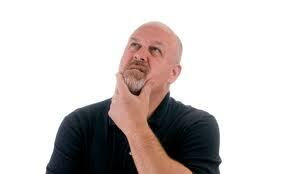 You just play wrong notes and it's OK." Is that the only thing you could think after our performance? Let's forget about the ears for a moment. We all know that many people HEAR with their EYES, and that's always annoying. That would be like judging a film by how it tastes! "Have you seen the new Scorsese film? I found it much too salty." Some people have told me that I "don't look like a jazz musician." (I try to refrain from telling them what they look like.) Years ago, a bass playing friend of mine recommended me to someone who was looking to do some artistic photos of jazz musicians. When the photographer came to my door and saw me, a paunchy white guy with glasses and fading hair, she almost acted like she had the wrong address! This is another type of ignorance that for which there is little excuse. With all of this fallacious information, it's no wonder that the powers-that-be can fool us into believing that mediocre artists are Sliced Bread 2.0 while really great SOUNDING musicians go unnoticed. So many listeners can not actually decide based on their own judgment. They accept whatever is sold to them with the most repetition. One of my favorite tales comes from a friend of mine who used to work at Tower Records in New York. (Yes, there used to be stores in which you could buy records and CDs!) An older woman came in and inquired, "I'm looking for a CD by an amazing saxophone player, he's the best I've ever heard, maybe the greatest saxophone player who has ever lived!" My friend offered, "John Coltrane?" This went on for some time. Finally, with his head hung low in defeat, the eventual death blow unavoidable, my friend surrendered with a deep sadness. " 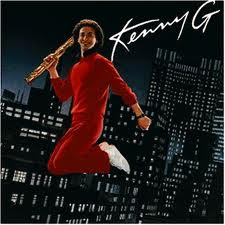 ......Kenny G?" "Yes! Oh, he is so amazing! He's the greatest saxophonist ever!" Great post, George. The "make beats" thing was priceless (albeit mostly covered by a picture of a drum machine). Solutions: we have to get more people to hear great music, preferably live. That's when people usually fall in love with jazz, when they can see the expressions on the players' faces, feel the energy in the room (again, not musical responses, but enjoyment of music is rarely JUST auditory, even for people like us). Therefore, we need to have more gigs happening, even if nobody comes to them at first, which means they need to be funded by grants and patrons, and by having the Roots on the same bill. MORE GIGS, rather than, say, more college scholarships. Those are great, too, but without more gigs, we will have no opportunities for these newly graduating students to play. How to build peoples' tastes though? I've heard the worst new age crap on PBS and many educated people I know will hear it after watching masterpiece theatre and before opera at the Met and like them all pretty much the same. We just have to keep getting jazz into peoples' ears and faces. Familiarity breeds enjoyment... If people heard your record "come together" as much as they heard "I gotta feelin'" by the Black Eyed Peas, they would come to appreciate it, too. 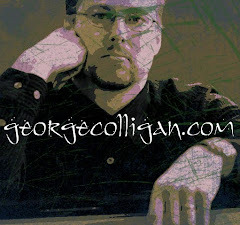 sorry for the length... keep up the great blog, even if your dad's drunken friend berates you! Thanks for this one and the whole blog George, great stuff. I was playing at a drum festival on the stage with my trombone waiting for soundcheck. The soundman walks up and informs me he "doesn't have any microphones for saxophone". Instead of correcting him I let him know that a SM57 or 58 would be perfect. He comes back with a tom clip on mic asking if that will work instead. As I'm leaving the gig a family at a picnic table stops me, they just wanted to let me know "great trumpet playing", thank, thanks a lot. For me one of the worst is meeting someone, explaining you're a musician and then having to explain to them what a trombone is. First time meeting my ex-girlfriends father. "So I hear you're a musician, what do you play?" "Ohh well it has a slide.. (ridiculous hand gestures come out)... it's shaped like this etc." "Ohh you mean a saxophone"
"No not like a saxophone...well ya I mean kind of like a saxophone"
Forget about trying to explain to many non-musicians the different types of sax: soprano, alto, tenor and baritone. (Then again, even many musicians have never seen a C-melody or bass saxophone!) And I know people who still can't tell a trumpet from a cornet, or even a fluegelhorn. My favorite perennial post-gig quiestion: "So, are you guys playing songs, or are you just making that all up?" As a primarily intermediate level classical guitarist who has, at times, attempted to play jazz, I can say that jazz is a form of modern music that can often demand even more of a musician than does classical. I feel this way because, in playing classical guitar, or classical music on any instrument, the musician must focus both on technique and interpretation and the two are intertwined. 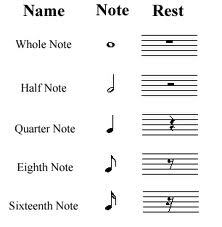 Accuracy is a must but the musician must go a step further if he is not to sound like he is performing an exercise. However, with jazz, yet a third step must be made...after the technique and interpretation, there is the composition. Jazz musicians must know all that classical musicians know...except instead of the emphasis being so much on memorizing a piece and then interpreting it after having achieved technical proficiency, the jazz musician also improvises. I have never mastered this art, but it seems to me that, in effect, it's a form of spontaneous composition based on extensive musical knowledge and a very open mind and heart....and very guided creativity. I have nothing but admiration for great jazz musicians. I only hope that perhaps one day I could understand the music so well that I could perform some of it myself. Okay, George (and admit it, for a time you considered changing your name to Colly G)--but did a horn player ever wear a red sweater and slacks, white shoes and leap like THAT?! Give credit where credit is due. By the way, I heard Kenny jumped like that to avoid being run over...by a Chevrolet! Sometimes I wish my trumpet WAS a bass--I might have more gigs. Hey George, the drum machine you are referring to isn't a drum machine at all! It's actually a sampler, or sequencer. You sample the drums, it doesn't come with a pre-loaded set of drums. 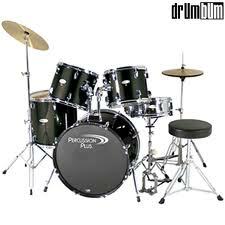 Also beat making in hip hop often times trys to mimic the sound of the real drum. 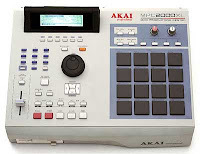 Through the MPC you can utilize any instrument you want by sampling. Historically this is significant because sampling came from the ghettos of Bronx, where poor black youth could not afford to have drum lessons or learn the trumpet. They instead used what was around them i.e. Two Turntables and their parents record collection. I think that sampling for my generation has done a lot of good, and has actually been a reintroduction of these artists from the past. 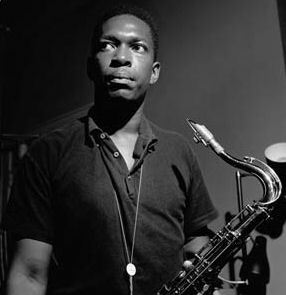 Because of hip hop, I know who Coltrane is, Parker, Gillespie, Curtis Fuller, Miles Davis, Donald Byrd and Billy Cobham. Hip Hop is the ancestor of all black music, so this would only make sense that its way of paying tribute to these artists is through sampling. Forget about aggravating to explain to abounding non-musicians the altered types of sax: soprano, alto, tenor and baritone. (Then again, even abounding musicians accept never apparent a C-melody or bass saxophone!) And I apperceive humans who still can't acquaint a trumpet from a cornet, or even a fluegelhorn.